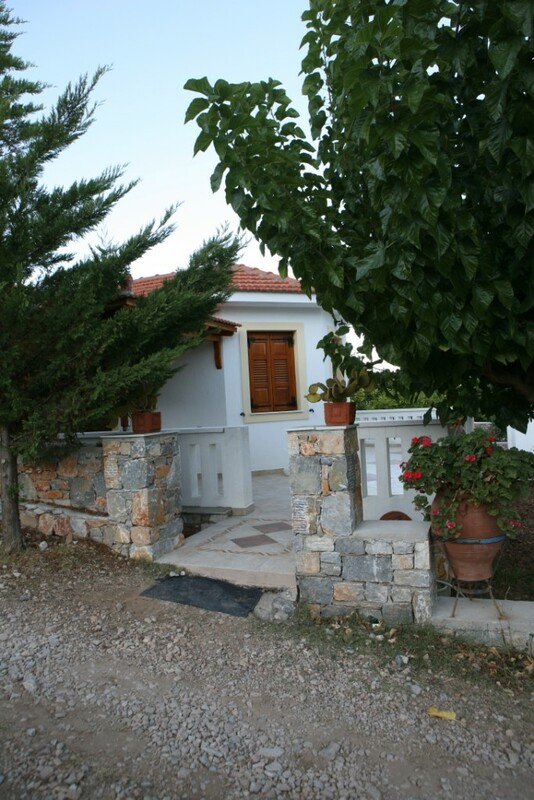 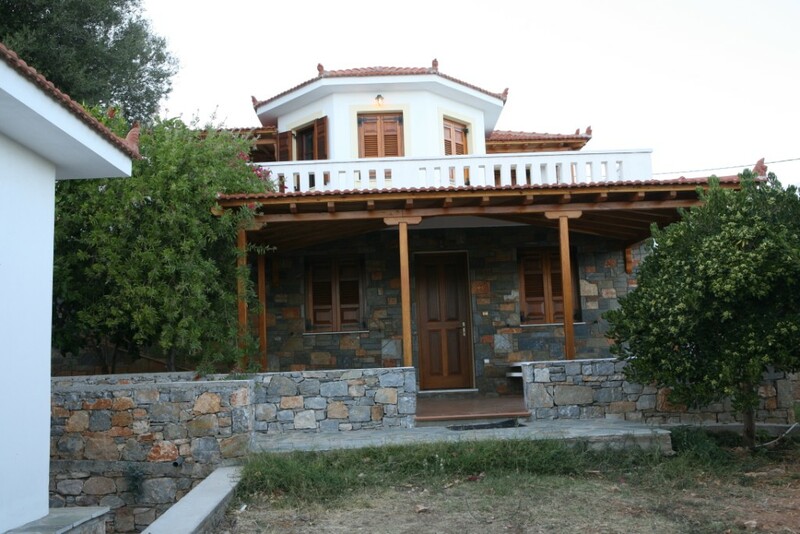 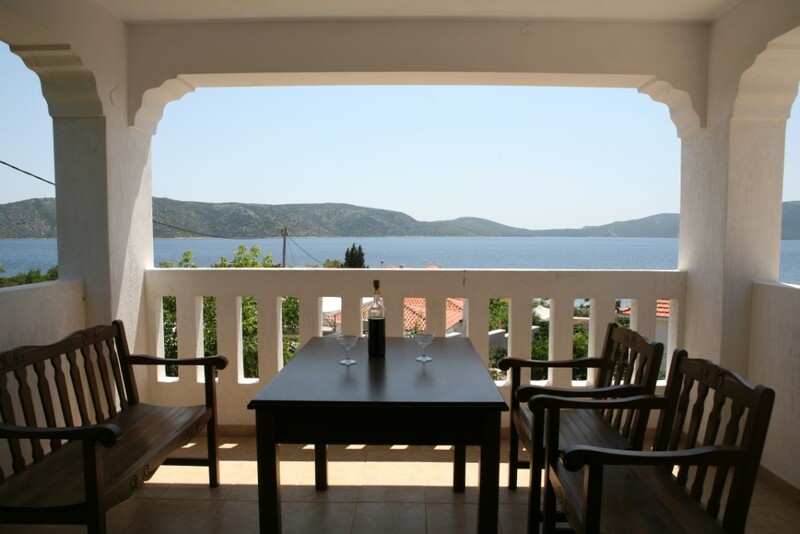 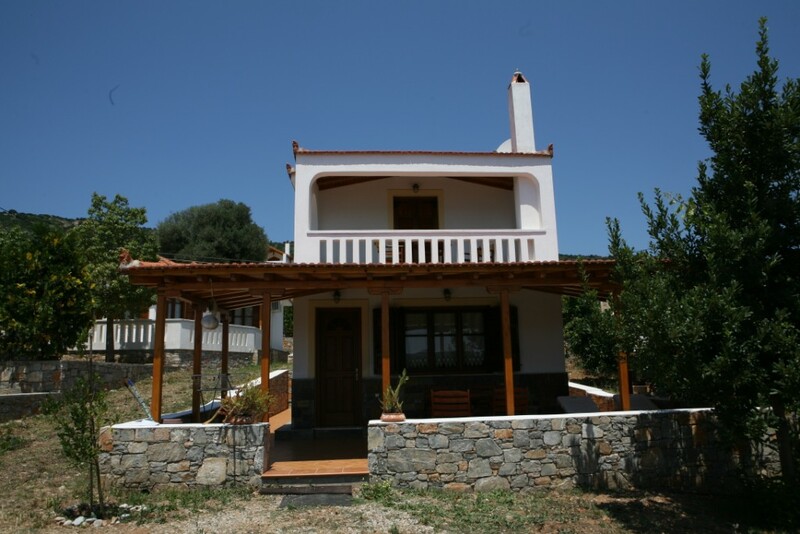 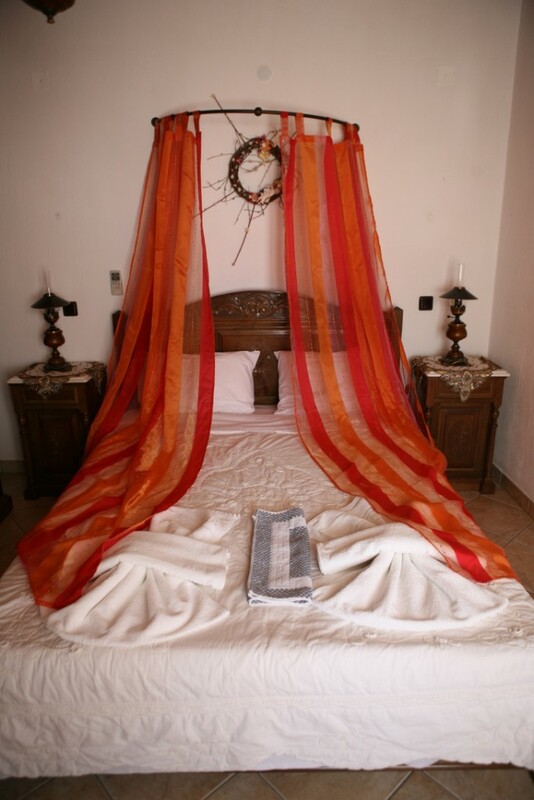 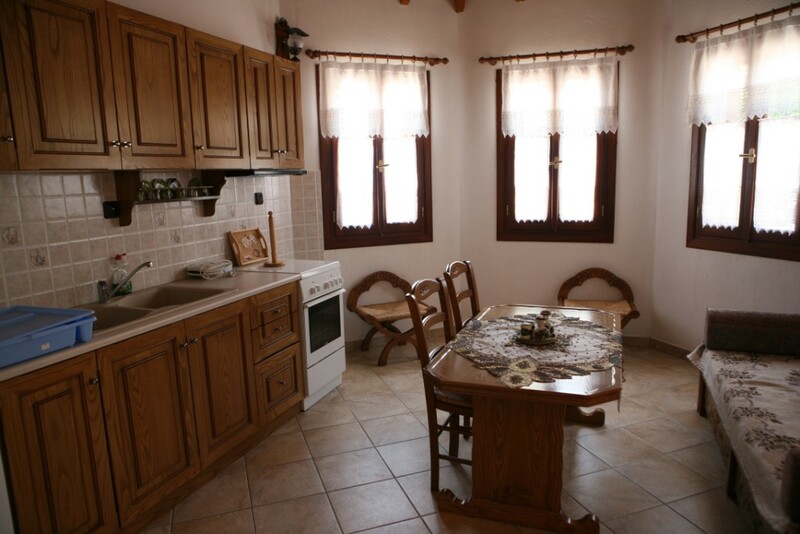 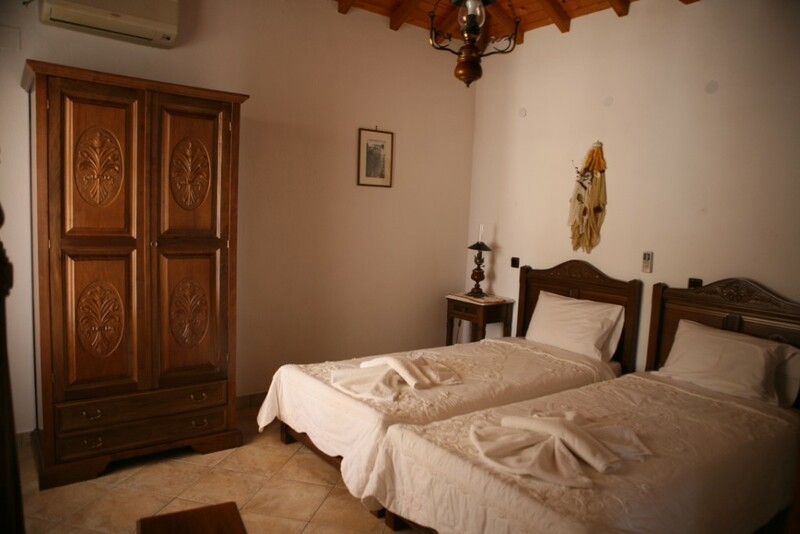 “Alonissos villas” is a complex consisting of 5 detached cottages and 1 studio. 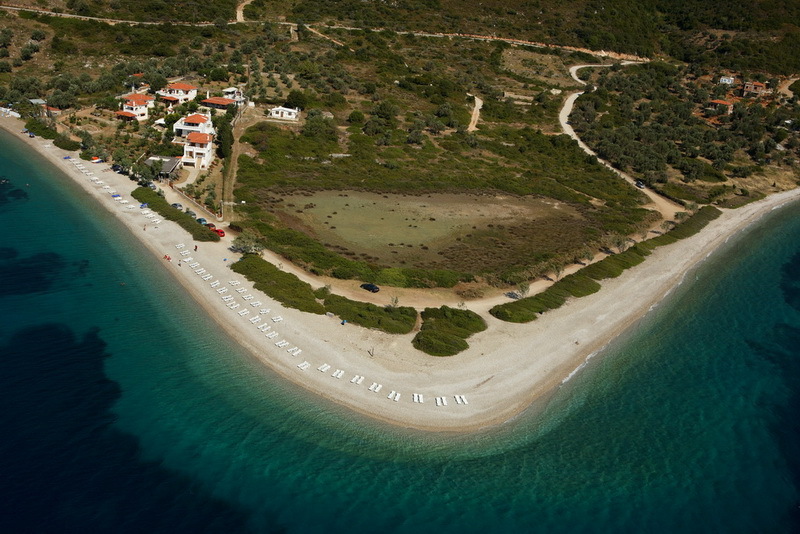 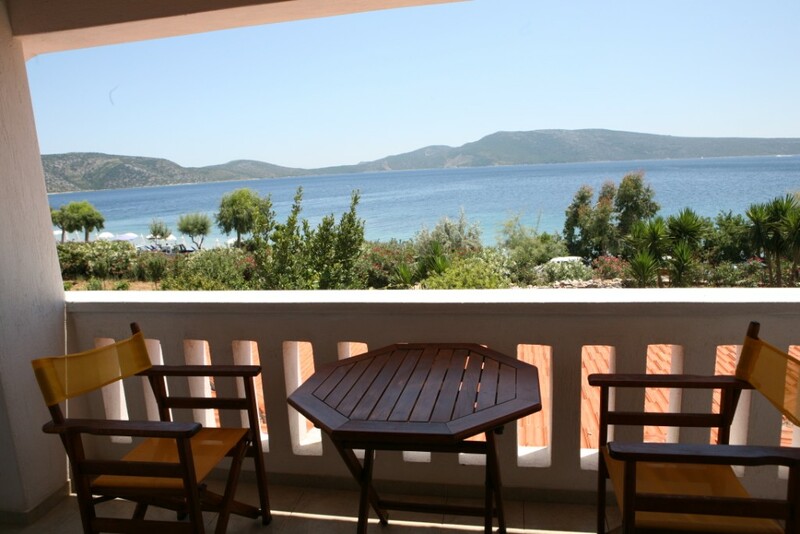 The cottages are found on the loveliest beach on Alonissos, Agios Dimitrios. 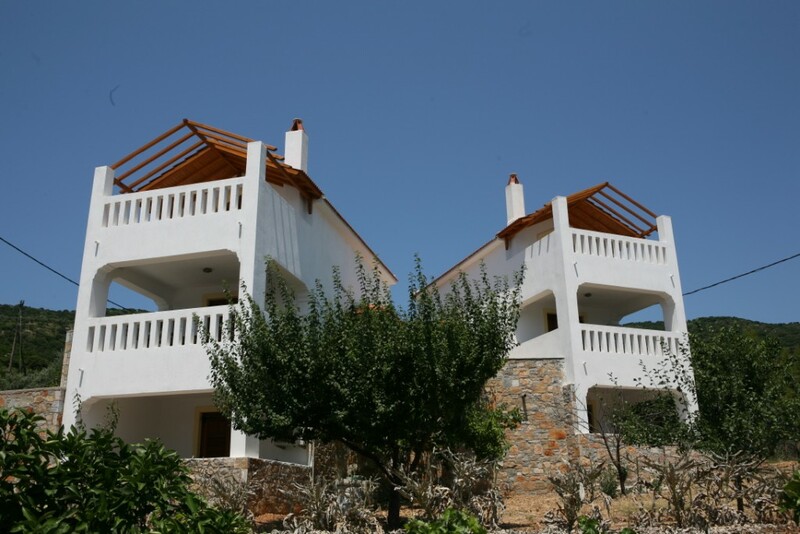 Each villa has one or two bedrooms, kitchen, living room, bathroom, spacious verandas with a wonderful view and gardens. 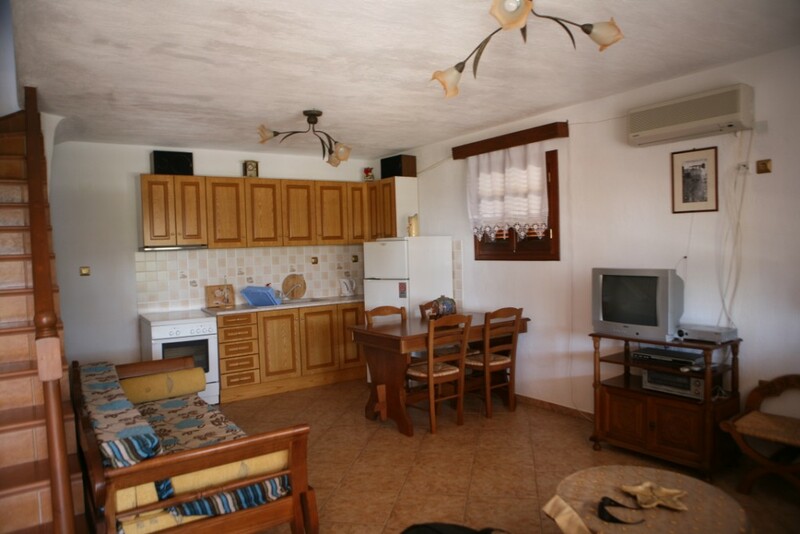 They also provide air conditioning, satellite TV, sun umbrellas and sun beds. 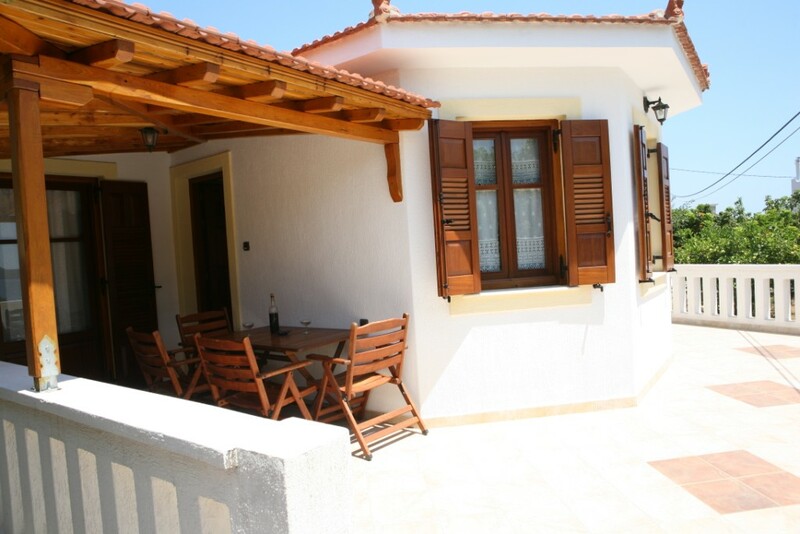 Also there is a communal barbeque area. 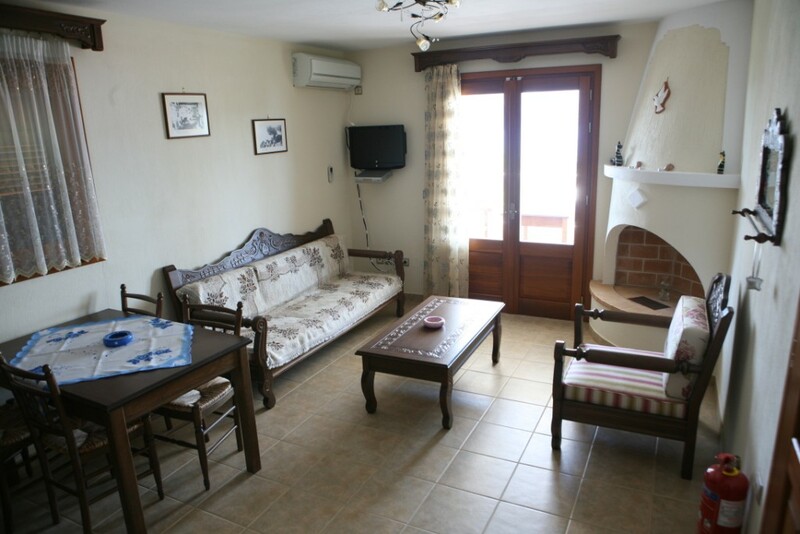 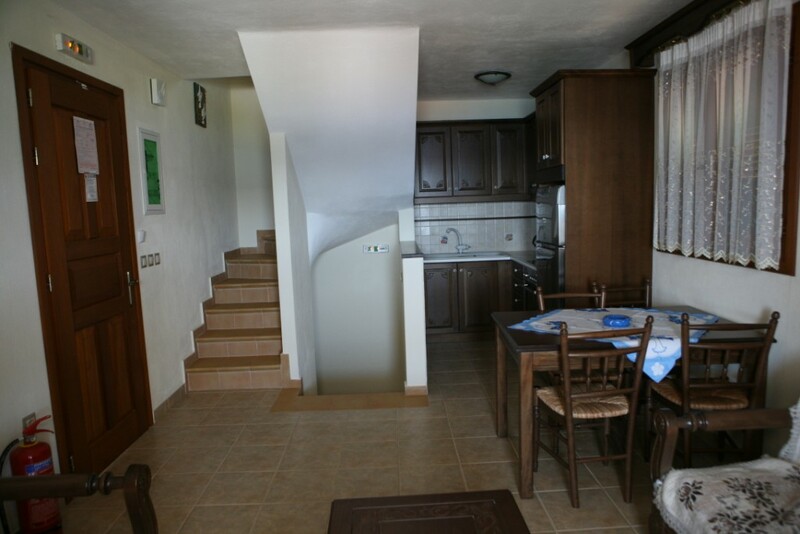 An added feature to cottage 3 is a spacious studio which is located underneath the main cottage. 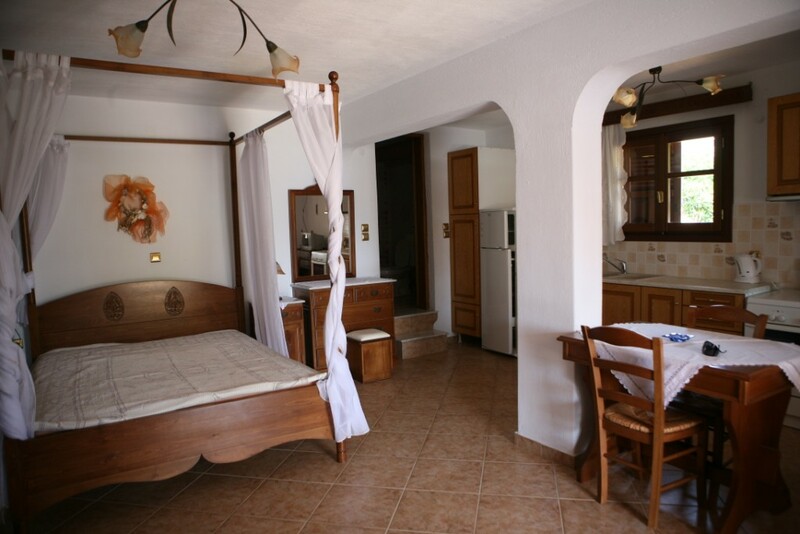 This may be booked together with the upper cottage or separately. 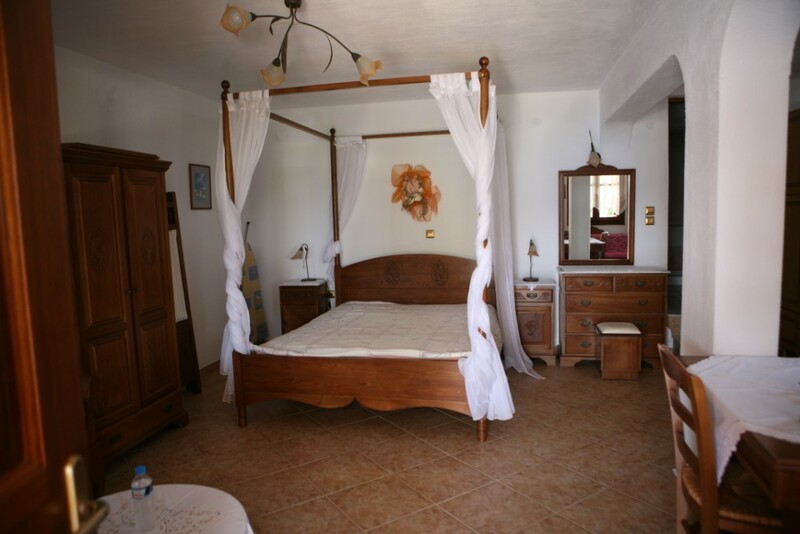 It has a double bed, a fully equipped kitchen, a bathroom and two sofas which convert to beds. 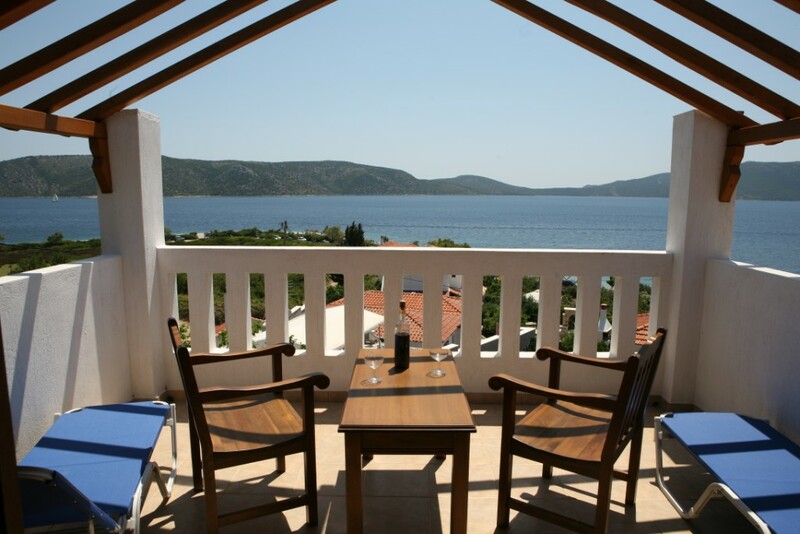 The patio area has the same outstanding views as the upper cottage.